The goal of our Respite Housing program is to provide families the opportunity to get away from the stress and rigor of a medical treatment routine and find a sense of family normalcy. Families in this program enjoy a week-long beach or mountain retreat, as well as delicious meals and fun activities, provided to them by dedicated and generous local businesses and donors. The outcome is often a much-needed, stress-free getaway where lifelong memories are created. 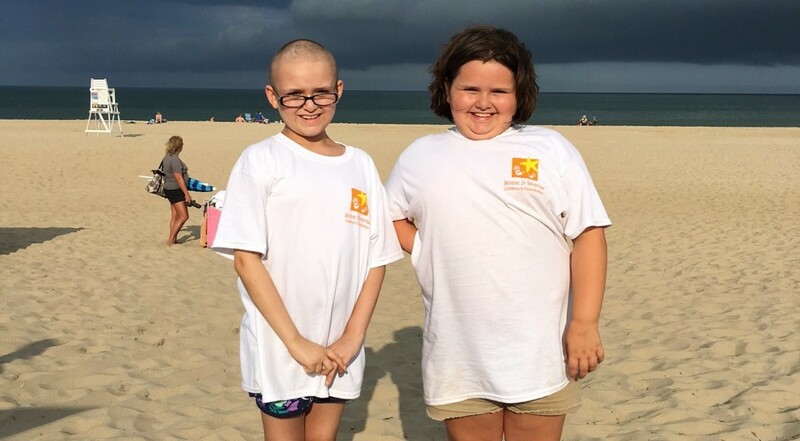 Over the 4th of July holiday, Riley Marshall and her family stayed with us at The Children’s House by the Sea in Ocean City, MD. Riley’s 7th cycle of chemotherapy had been postponed, causing some stress for the family. But as soon as they arrived at the beach, the Marshalls’ stress melted away. Riley and her family had a full week of activities; from Magic Shows at the Holiday Inn to boat rides with the Coast Guard, who let Riley pilot the boat around the Inlet. They spent a day at the Planet Maze entertainment center, with the whole place to themselves. Later in the week, The Marshalls enjoyed crabs at Hooper’s and lunch at Fager’s Island. Riley even got to joke around with DJ Bulldog live on-air on Seacrets radio, Ocean FM 98.1. The Marshalls are just one of 62 families who have been part of our respite program so far this summer. And there are more families we will help, even after the summer ends and throughout the year. Believe In Tomorrow looks forward to serving even more families in the years to come with the addition of The Cottage By The Sea in Ocean City, MD and The House at Deep Creek Lake in McHenry, MD in 2017.